Nancy Paulsen Books, 9780399547829, 32pp. Little ones love playing with their dolls! Celebrate that love with Baby-Boo, I Love You, and follow one imaginative little girl who adores playing mommy. And as she bathes, feeds, and frolics with her doll, she emulates a nurturing parent-child relationship, showing the universal joys of being cared for and cherished. 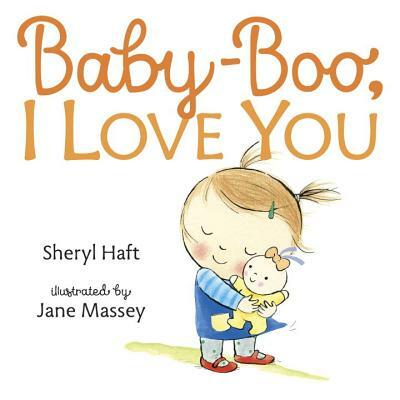 Sheryl Haft’s delightful text and Jane Massey’s endearing illustrations make this a wonderful read-aloud for every child with a favorite doll or stuffed toy, and a reminder of their own parents’ never-ending love. Sheryl Haft (sherylhaft.com) grew up with a beloved doll that she dressed in a little sweater knitted by her mom. The love continued as her own three daughters played mommy with their dolls in the parks and playgrounds of New York City. She and artist Jane Massey also collaborated on I Love You, Blankie. Jane Massey (www.janemassey.co.uk) has illustrated numerous picture books, including I Love You, Blankie (by Sheryl Haft) and Eat, Sleep, Poop (by Alexandra Penfold). Jane’s illustrations of babies, young children and animals also appear on packaging, advertising and greeting cards. Jane lives on the southern coast of England with her family.